Javier Collado Ruano: Dear readers, today we have the opportunity to learn from a big thinker and activist located right now in São Paulo, Brazil. 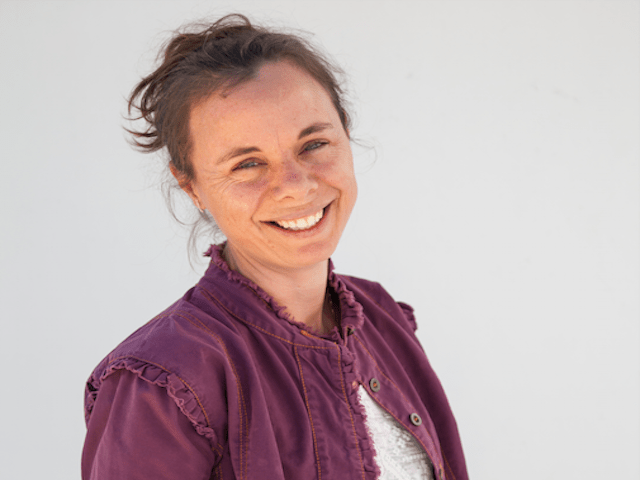 It is with great pleasure that I introduce you all the current Programme Director at Greenpeace Brazil, Annette Cotter. Thank you very much to attend us today, for our special edition of Global Education Magazine: World Environmental Day. Annette Cotter: Thank you for the invite and opportunity to participate. JCR: I would like to start the interview doing a little recap of your early activism in New Zealand. Could you tell us about your role in Greenpeace New Zealands´s Genetic Engineering campaign? What is the first memory which arrives to your head when you think about it and how it determined your life since then? Annette Cotter: I entered Greenpeace after years volunteering with a very small organization in NZ to save forests. I started with Greenpeace as a GE campaigner talking to Kiwis about the risks involved in the technology. Entering an international organization gave me a whole new perspective on making environmental change. So I would say I have two key memories – firstly, the realization that change needs to happen globally as many of the challenges we faced in NZ were common around the world. And secondly, that we cannot make changes without people willing to stand up and speak out. One of the highlights of my time as a GE campaigner was a 30,000 people strong rally against GE – the first time in 20 years (since the anti-apartheid protests) that so many people in NZ were on the streets protesting. With people peacefully speaking out, everything can change. JCR: I think we both share a common perspective in such issues. Few months ago I had the opportunity to meet Dr. Kumi Naidoo, International Executive Director at Greenpeace, and also hundred of activist from all the corners of the world. I shared some futurist reflections about genetic information during my conference in Johannesburg and people enjoyed so much. In abstract, I realize some interlinks between Monsanto and his production of agricultural biotechnology genetically engineered (GE), and the possibility that some multinational is working right now with the human genome to create superhumans at the service of some dictatorship. What do you think of that as GE expert? What´s wrong with GE and how could the International Community improve such issues? Annette Cotter: GE – or manipulation of organisms at a genetic level by crossing species barriers is an inherently risky business. We don’t know what the impact will be on current and future generations. But one thing is clear – with big agrichemical companies like Monsanto buying up the whole process from the technology to change seeds, to the seed suppliers, to the spray needed, they are effectively controlling the supply chain of staple food sources like corn that feed the world. This hugely reduces options for farmers and seed diversity, apart from the environmental concerns of GE. The key to adapting to a changing world because of climate change is diversity – so we are really doing a bad job if we let Monsanto and others take over how our food is grown and do the exact opposite to what is needed to have true food security in the future. JCR: Moving to other waters, you have also been working as Forest Manager in Indonesia, true? Could you please let us know what environmental issues you found over there? Annette Cotter: Yes, I shifted with my family to Jakarta for 2.5 years and helped coordinate the forest campaign in Indonesia. There were many environmental issues – deforestation rates that were higher than Brazil, many communities losing their land to palm oil plantations, and massive pollution and congestion in the main cities and reliance on coal rather than on clean renewable energy like solar. JCR: And what is the main difference and the main similarity with the problems found in Brazil? Annette Cotter: I found more similarities than differences. There too, there is an effort to bring many millions out of poverty, like here and a drive for development that is bringing considerable environmental and social cost. There, like here in Brazil, we can, and must make other choices. Renewable Energy instead of dirty fossil fuels, food production without forest destruction. Effective public transport rather than individual cars. There is a strong desire in both Indonesia and Brazil for civil society, Indigenous and traditional community opinions to shape political decisions and a growing rejection of corruption and lack of transparency. JCR: Could you tell us more about the Amazon Campaign of Greenpeace? Annette Cotter: Greenpeace has been campaigning to protect the Amazon for over 20 years. During that time, deforestation peaked in 2004 and started declining until recently. We were instrumental in getting species such as Mahogany protected, Protected Areas, Indigenous lands and community lands recognized legally and driving agreements with industries around not contributing to deforestation. However the job is far from complete. Deforestation is back on the rise due to the weakening of key forest protection legislation, the timber sector is full of illegality and big infrastructure projects like hydrodams are bringing environmental and social damage. We need help now, more than ever, from Brazilians and the global community to protect the Amazon. JCR: I suppose you also attended the Conferences of Rio+20 two years ago. How did Greenpeace contribute to defend the environment? Annette Cotter: Rio+20 for us was much more about standing with other civil society groups and the Brazilian public rather than internal negotiations. We, the Catholic Church, the landless movement (MST) and other groups called for a Zero Deforestation law to save the Amazon and its forest dependent people. We joined thousands on the street condemning the lack of political progress and called for millions around the world to join together to protect the Arctic. JCR: And how did you feel after the United Nations Conference on Sustainable Development? I mean, what did humanity lose when some countries refuted the international agreement? Annette Cotter: It was disappointing to see how our governments have been coerced and influenced by short term corporate interests. Inside, the negotiations were weak, ineffective and not action orientated. Really, it just reinforces the necessity for us to step up, and speak out. If the people lead, the politicians will follow. JCR: I have had the privileged opportunity to attend Rio+20 too. I submitted a proposal for an educational reform at global level and it was one of the most voted throughout the world, specially in the group of Sustainable Development for Eradication of Poverty. What is your opinion about the role of education in the world-society of the twenty-first century to raise environmental awareness? What needs to be done at the global level to support and promote Education for Sustainable Development and Global Citizenship Education? Annette Cotter: I’m sorry but I don’t actually know the Global Citizenship Education (GCE) or the Sustainable Development for Eradication of Poverty with sufficient detail to give you an adequate response. JCR: In this sense, what do you consider is the role of civil society to achieve a democratic sustainable development which respects the current environment for future generations? How is Greenpeace working to achieve such sustainable horizons? What economical policies have to be implemented to achieve a real sustainable development healthy with the environment? And what should be included in the paper of the United Nations to achieve global and pragmatic agreements? Could the future Sustainable Development Goals break the current paradigm of irrational consumerism which provokes disasters, environmental conflicts, global warning, and climate change. JCR: Well, I do not know if I have left anything you would like to express to our readers. Would you like to send them any message in this specialWorld Environmental Day? Annette Cotter: I think we’ve covered it. JCR: Thank you very much for your time and your reflections Annette.